The good folks behind Jones General Store are hosting a Holiday Market this Saturday, December 15th. This is a local online vintage store whose founders originally hail from the U.K. Vancouver is their new home and they are settling in by hosting their first Pop Up Market this Saturday at the Cambrian Hall, 215 East 17th just off Main Street. You can expect to find a wide array of items including vintage, home décor, jewellery, art and much more like fashion by Jessica Redditt Design which makes sustainable chic clothing. If it’s Christmas baking you need for the holiday season, stop by and check out Whipped & Beaten Bakeshop. Outside of shopping, there’s an Apres Ski Bar with hot drinks and treats as well as a Wrapping Station which idea we quite like. If that’s not enough, there’s movies, mistletoe and music. Stop by for a fun shopping experience that supports your local makers. Market is on 10:00 am to 6:00 pm. Admission is free. The Italian Cultural Centre is hosting their annual Holiday Market this Friday from 5:00 to 9:00 pm. You can expect to find some traditional Italian food products including olive oil, panettone and Christmas cookies in amongst 40 local vendors featuring wine, pottery, jewellery, chocolates and a host of gift ideas. Admission is free and as always, there will be some delish food available for purchase and likely a few food trucks at the ready as well. For those with young ones, there will be a Kids Corner from 5:30 pm – 7:30 pm featuring free photos (with your camera) with Mr. & Mrs. Claus. Looking to relive some of the hair, music and clothes of the 80s? You may wish to check out The Dark Eighties Fall Ball happening Friday night at Eastside Studios. Tickets are $12 at the door. Fun begins at 9:00 pm. For more information, visit Eventbrite. Maker Market at the Ellis 2.0 is happening this Friday night from 5:00 pm – 10:00 pm. You are invited to come shop and support some of Vancouver’s local makers whilst enjoying a happy hour cocktail featuring some of their products. Food trucks will be on hand for those that get hungry. Entry is free. Everyone welcome. This is a family and dog friendly event. This Saturday, The Cultch plays host to the 20th Annual West Coast Guitar Night. The evening features acoustic jazz, classical, folk, world, flamenco and more. This should be a spectacular musical evening. Tickets are $34 and available at The Cultch. The Commercial Drive BIA is hosting Christmas On The Drive this Saturday at Grandview Park between 2:00 pm and 5:00 pm. The event features free pictures with Santa, a horse-drawn carriage rides down Commercial Drive a tree lighting at 5:00 pm. There will be some live music on the main stage in Grandview Park along with lots of activities for the kids including face painting, balloon twisting and caricatures. Hot chocolate and cider will be available to keep you warm. An important movie ‘Sharkwater Extinction’ by activist and filmmaker Rob Stewart shows at the Rio Theatre this Saturday afternoon. Rob Stewart shows how sharks are being hunted to extinction, and with that comes the destruction of our life support system. The filmmaker’s aim is to help stop the slaughter. In the movie, he follow sharks and the money into the elusive pirate fishing industry. Movie shows at 1:45 pm Saturday. If you can’t make it then, it will be shown again Sunday at 5:10 pm. A contemporary political drama continues this weekend at the Firehall Arts Centre. The Enemy is an interpretation of Henrik Ibsen’s An Enemy of the People, a female Dr. Stockman discovers contamination in the community’s water source and is branded an enemy and accused of destroying the local economy. For tickets, visit Firehall Arts Centre. If it’s comedy you are after, Graham Clark’s Laugh Gallery happens at Havana Theatre every Monday night. For live music, this Friday Café Deux Soleils hosts Quinn Pickering’s album release ‘Baby Blue’ featuring live music by the artist along with guests at 9 pm. Also, the Libra Room on The Drive has a regular line up of music. Tangent Café hosts live jazz Sunday nights from 6:00 to 8:30 pm. Saturday, Pat’s Pub has live jazz Saturday afternoons from 3-7 pm, no cover. Two winter farmer markets happen this weekend. Saturday it’s the Riley Park Farmers Market from a0:00 am to 2:00 pm and Sunday, the Hastings Park Farmers Market also happens from 10:00 am to 2:00 pm. To see more of what’s on in East Vancouver, check our Event Listing. 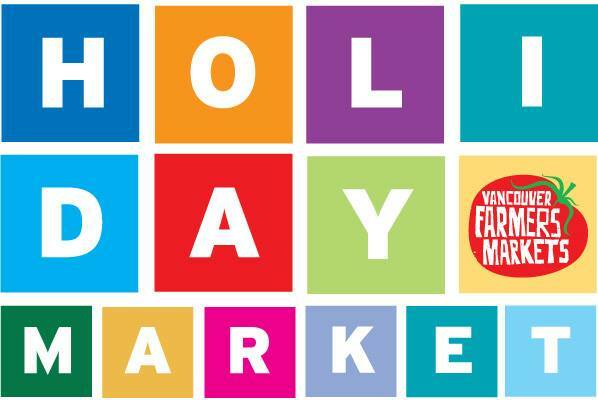 The Vancouver Farmers Market is hosting their annual Holiday Market this Saturday, December 12th at the Croatian Cultural Centre, 3250 Commercial Drive. Now in its 19th year, this event is a seasonal celebration of food and art and runs from 10:00 am to 4:00 pm. This Saturday, you will find over 60 vendors offering everything from delicious food items such as cheese, fresh bread, olive oil, chocolates jams, coffee and honey as well as handmade jewellery, delectable desserts including homemade pies plus home accessories such as handmade cutting boards. There will be lots on hand perfect for gift giving or holiday entertaining this holiday seasons such as BC Wine Studio’s Siren’s Call Pinot Noir. Admission to the market is $3.00, but free if you are a Market Member. Hint: If you check the most recent edition of the Georgia Straight, you will find a 2 for 1 coupon for entrance to the Holiday Market. T he Vancouver Farmers Market presents the 18th Annual Holiday Market which is a seasonal celebration of food and art. The event takes place at the Croatian Cultural Centre, 3250 Commercial Drive (at 15th Avenue) from 10:00 a.m. to 4:00 p.m. this Saturday, December 14th. You will find over 75 vendors offering everything from delicious food items such as cheese, fresh bread, olive oil, chocolates jams, coffee and honey as well as handmade jewellery, delectable desserts including homemade pies plus home accessories and lots of items perfect for gift giving this Christmas or edible eats for entertaining over the holidays. Also, on hand will be Vancouver Tool Library. Stop by and learn more about this interesting cooperative tool lending library in East Vancouver. Or stop by and visit Old Country Pierogi which is a local family business that operates a fully self-contained food cart offering pierogies (regular and gluten free ) with various fillings, potato pancakes, hunter’s stew, red borscht soup and cabbage rolls. Note, the outdoor winter market at Nat Bailey Stadium runs as usual from 10:00 a.m. – 2:00 p.m. Anyone who attends both markets is eligible to get a ballot stamped at each market for a chance to win a hardcover copy of Edible: A Celebration of Local Food.